The first thing any aspiring orchid gardener needs to decide is what type of orchid to grow. The first thing to consider is the climate of the region in which you live and whether or not it supports outdoor or indoor orchid growth. The decision to grow inside or outside is one of the biggest initial decisions to be made. Next, be sure to buy plants that are healthy with no signs of pests or diseases. The bulbs should all be around the same size with none significantly smaller than others. 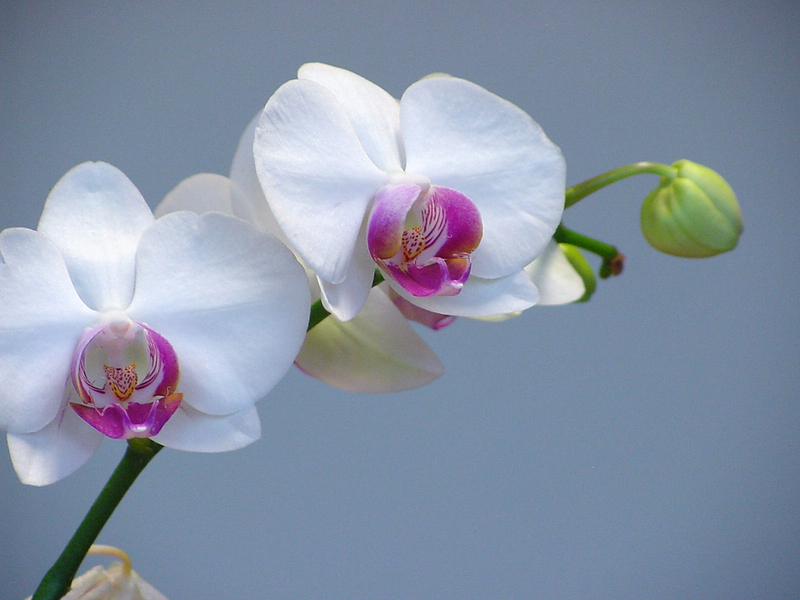 It is best to buy an orchid that has already bloomed or is blooming at the time of purchase. Always look for living roots. Plus, don’t buy from sellers who are not reputable even if the low prices are tempting. One infested plant can devastate an entire collection of orchids. Try to select orchids that grow happily together. That means: do not put orchids which like the shade with orchids which like the sun. And, do not place orchids which like nighttime temperatures of 70 to 80 degrees with those who prefer cooler nighttime temperatures of 50 to 60 degrees. Grow orchids together only if they have similar needs. Orchids come in all sizes. Always be sure to research how tall your orchid is going to grow before purchasing it. Some tiny orchid plants may be no more than a few inches high, while others can be over two feet tall. A small orchid can spread out its flower stems to be over five feet long. If growing orchids inside, make sure that your house has enough room for your species to spread out. Most warm orchids need pretty high humidity levels in order to thrive and flower. Many should be in the 60% to 80% range. If you live in a place where it gets very cold in the winters, you most likely will not be able to maintain such a high humidity level without building a greenhouse or some type of glass enclosure. Some of the cool orchids or terrestrials are not so demanding about moisture. These are better selections for beginners. The watering of orchids is one of the most critical aspects of orchid care. Most orchids are served well by watering once a week. You should wait for the plant to dry out but don’t let it get totally dry in-between watering. The top should be dry to the touch and the pot should feel light. One of the biggest mistakes beginners make with orchids is over-watering. Water the plant well–until water flows from the drainage holes. But make sure the orchid is well-drained and there is never any accumulation of water. Orchids need to be able to have a lot of air circulation for superior growth. Unlike most plants, except for a few terrestrial varieties, orchids are not planted with their roots growing into the soil. Whatever media you use for planting–fir bark, sphagnum moss, peat moss or others, it is essential that the entire growing area has adequate ventilation. Inside, a ceiling fan on low is just right for proper air circulation. Stale air can cause an orchid to deteriorate. If you want your orchids to flower, you are going to have to fertilize them. There is not a lot of agreement among gardeners as to the best fertilizer for orchids. Everyone seems to have their own pet theory. The best way is to simply try a couple of different fertilizing options and see which works out the best. You can go all organic with your fertilizers, using compost from worm castings or fish emulsions, or you can use synthetic fertilizers, such as 10-10-10 with varying amounts of nutrients. I think it is very important to emphasize the importance of buying healthy plants! “One infested plant can devastate an entire collection of orchids.” VERY TRUE! Starting out with healthy plants is so important! Also I recommend orchid newbies begin with easier care types of orchids such as Moth Orchids. They are less fussy and more forgiving. I hsve a Dendrobium anosum it is healty and growing fine. The long canes look like it has buds but it is also producing keikeis. Should I take the keikeis off or just let them grow. Will the Keikeis interferr with it flowering. Just a quick note regarding your method of checking to see if your orchid needs watering. You mentioned that you can often touch the top of the mix and determine the moisture value there. Just be aware that the mix will probably be more moist a couple of inches down. If in doubt, don’t water. ONe further tip you could use is to get familiar with how heavy the pot should feel when watered. Sometimes you can get a feel as to whether the mix is dry by just the weight of the pot. Finally, watch out for bark that is broken down. After about two years, the bark will begin to break down. When it does this, it will retain much more moisture and will reduce the air circulation around the roots. At this time, you will want to change the mix. For more watering tips go to: http://www.orchidcarezone.com/cymbidium-orchids-tips/ to read more about watering Orchids. The article focuses in on the Cymbidium, but on the whole most of the content is quite universal. I agree with Laura. Start with something easy like a phal orchid. In any case find out as much as possible about the type of orchid that you have so you can reproduce it’s natural conditions as well as possible. I agree, Moth or Phalaenopsis is the easiest to grow compared to other orchid variety. It is best for beginners, especially when you see the blooms, you’ll get encouraged and inspired to grow more and venture to other beautiful orchid species. Thanks to everyone for your great comments! @Laura – Yes, good point. @Jacob – Thanks for your additional tips and comments. Those are all great points, and I’m glad you mentioned them! Note: Your email address will never be published.